TOP ＞ Products ＞ Discontinued models ＞ SMX-100 Broadcast Grade Proffesional Stereo Shotgun Mic. SMX-100 Broadcast Grade Proffesional Stereo Shotgun Mic. The SMX-100 is a high quality stereo shotgun microphone. Designed for broadcasters, videographers and audio professionals, the SMX-100 offers wide frequency response in a compact, lightweight camera-mount design. The M-S pick-up configuration means recorded signals are stereo and mono compatible making the SMX-100 an excellent choice for all video-based audio applications. 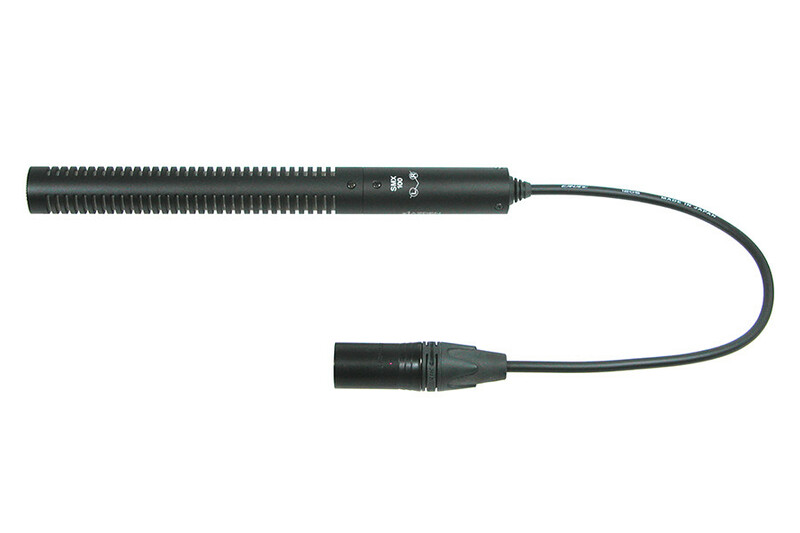 External phantom power between 11 and 52 VDC is required to operate the microphone, which terminates with a hard-wired 5 pin XLR connector. The SMX-100 is 22cm compact size length and comes complete with a custom carrying case, high density foam windscreen for shutting the wind sound and shock-mount microphone holder.